Loved it or hated it, the fact remains that Ridley Scott’s Prometheus was a major film that set up the distinct possibility – probability, really – of at least one more sequel to tie up the many many loose ends. 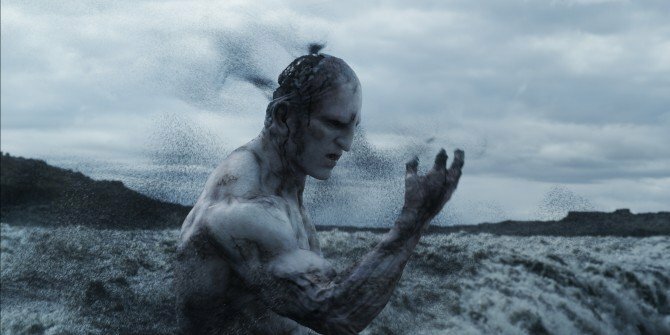 It has developed into a difficult slog to get Prometheus 2 off the ground, though, what with screenwriter Damon Lindelof leaving the whole script up in the air, and director Ridley Scott taking on other projects. But for those of you who desperately want to know what happens to Elizabeth Shaw and Michael Fassbender’s head-in-a-bag, good news! Ridley Scott has been chatting up a young actor about a supporting role in Prometheus 2. That actor is young Rik Barnett, a 24 year old with only a few credits to his name. He recently won an award at the 2010 Ibiza International Film Festival for his work in Rebels Without A Clue, a dark comedy about two British teenagers who run afoul of a drug dealer. Barnett has apparently been talking to Ridley Scott about playing a ‘pivotal supporting role’ in the Prometheus sequel, which could of course mean anything from a main character to the third guy from the left who gets his head lopped off. The point, however, is that Scott is still working on making Prometheus 2 happen, despite spending some time on other things. Those other things? Cormac McCarthy’s The Counselor and the Moses story Exodus. Oh, and then there’s the possibility of a semi-follow up to Blade Runner. You can never say that the guy does not work hard. My feelings on Prometheus range from ‘meh’ to ‘blind hatred,’ depending on who I’m talking to. I might actually have felt better about it had it been sold as a potential trilogy, rather than a standalone film that went nowhere. I don’t know if a Prometheus 2 will change my mind about the first one, but I admit that I’m a bit intrigued to know what Scott intends to do with the future of Elizabeth Shaw. Given the trouble he’s been having with the script, Scott probably wonders the same thing.